Ripple Technical Analysis: (XRP/BTC) Ripple Back in Business – Golden Cross on the Charts! is making good ground today, preparing to breakout bullish in tune with the rest of the recovering market. 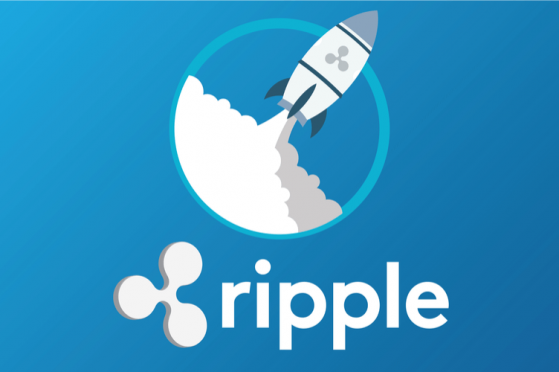 In the wake of destruction caused by the Coinbase-listing rumours, the recent price pump has been the first notable XRP activity we’ve seen in over 2 months. This new support hails largely from the East, with and accounting for over 46% of Ripple market trades, on the Bithumb, Upbit and Bitbank exchanges. We can see XRP find the bottom of its long bearish decline at 69,000 Sats, after tumbling -69% from its peak price point at 228,646 Sats on January 4th. Looking at the 4hr candles we can see a very flat performance through March with no swing in trading momentum at all along the MACD indicator until the recent consolidation. This latest surge however is looking very promising. Below we can see a ‘Golden Cross’ convergence between the 50/200EMAs which gives us strong confirmation that a bullish run is set to continue. Further confirming signals can also be seen within the momentum indicators, with long buying candles above the signal line and converging MAs on the MACD, along with RSI, Stochastic and Williams R% indicators currently all holding below the upper channel areas. This tells us that the current uptrend is not overbought and that bullish support is steadily gathering underneath the asset. We usually prefer this type of bull run over sharp spiking uptrends where traders whip into a frenzy often making overly-emotional, snap-decision trades; typically get out quickly to secure their profits into more secure assets. It’s during this withdrawal phase after sharp spiking uptrends where we see the price action tank as traders flock to cash out at lower price levels to make sure they exit in profit. With strong South Korean and Japanese investment building behind XRP, it looks like we could see another double figure breakout; with IOTA enjoying a further 13% gain today against BTC with similar support. The Golden Cross confirmation spells good news for any XRP hodl’ers with price targets as follows. There’s a strong resistance at 84,000 Sats where we can expect some moderate selling pressure to inhibit the opening bull run. This would give a 21.74% return from the base support at 69,000 Sats. The second price target will likely be achieved as the price action retraces to the 0.618 fib level at 95,000 Sats, delivering a 37.68% return from the base support price. If the market continues to improve as it has been over the past few days, then we could see the top of this bull run peak just shy of 105,000 Sats where we’ve seen the price action oscillate between resistance and support at this level before. Returns at this level would exceed 50% / $0.85 at current BTC market value.